In his liner note to Amores Pasados, former Hilliard Ensemble tenor John Potter puts forth the notion that perhaps the wall between popular song and so-called art song, which even just a century ago were one and the same, is an arbitrary one. Such is the contradiction behind his latest project, as inevitable as it is unusual. In a musical climate where singers shackled by marketing to particular genres branch out into others at their peril—a climate in which “world music” still rings like a derogatory term for non-professional, non-western curiosities—it may be difficult to conceive of a time when melodies we take for granted as part of the classical soundscape were once “popular,” belonging as much to the theatrical stage as to the troubadour’s lips. Contrary to the pop songs of the 20th century, by which the roles of lyricist and composer have all too often ridden divergent streams of commodity, songs once fell fully within the purview of laypeople at a time when notions of artistic integrity had yet to hammer a wedge between “professionals” and “amateurs.” This dynamic would now seem to have undergone a dramatic reversal via singing competition shows like The Voice, but even there the purpose is to produce the next generation of underdogs, whose underlying ambition is to buy into the professionalism they seek, often at the expense of at least one vital organ of their creative bodies. They must be the complete package: looking and acting the part into which they will be groomed if they are to succeed beyond the ephemeral glory that makes them visible. Amores Pasados, then, represents a rare—and all the more so for being successful—attempt to blur the lines between the old and the new, performing modern folksongs with an antique spirit and older songs afresh, along with more recent balladry by pop/rock legends John Paul Jones (bassist of Led Zeppelin), Tony Banks (keyboardist of Genesis), and Sting. The arrangements are Potter’s own, and find a choice companion in Swedish soprano Anna Maria Friman. Friman’s journey as part of the vocal ensemble Trio Mediaeval has since 2001 graced ECM with a series of eclectic recordings, all under the mentorship of Potter himself, and so their rapport is duly felt here. Joining them are lutenists Ariel Abramovich and Jacob Heringman, making for a multi-national roster. The album’s first three songs comprise its titular suite, featuring Spanish Golden Age poetry set to music by Jones. It begins with the full quartet in “Al son de los arroyuelos.” As Potter and Friman harmonize over interlocking lutes, it’s clear that a new age of song has begun. 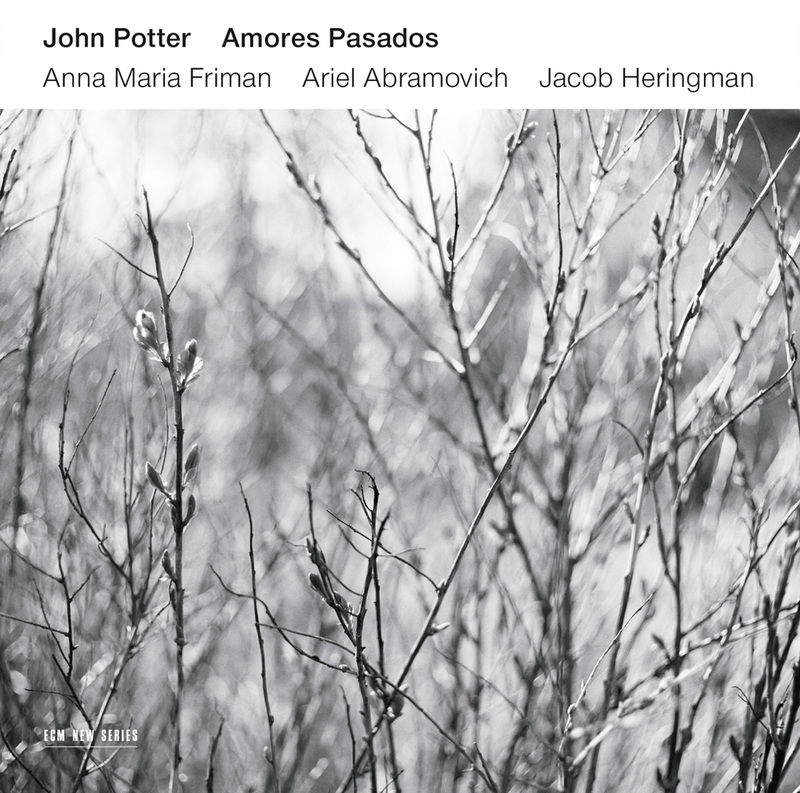 The haunting “No dormiá,” for its part, has what Potter calls an “Arvo Pärt-like sparseness” which “defies categorisation of any sort,” and indeed reminiscent of the Estonian composer is its organic evolution from single-note chants to polyphonic blossoming. These give depth to a droning horizon, brushing in trees, mountains, and setting sun. Should it fall under any generic label, let it be: haunting. “So ell encina” finishes the triptych with a relay of understated power between the two singers. Much of the album is, however, clearly in the tradition of that most famous purveyor of Elizabethan love songs, John Dowland (1563-1626). And while his music is nowhere to be found here (leave that to Potter’s earlier Dowland Project, also well documented on ECM), Dowland looms large, especially in this album’s closer, “Bury me deep in the greenwood,” by Sting. Sting’s 25-year obsession with Dowland led him to take up the lute and to release the Dowland-centered Songs from the Labyrinth on Deutsche Grammophon in 2006. Although “Bury me deep” is commercial in origin, having originally been written for director Ridley Scott’s 2010 reboot Robin Hood, it best captures the spirit of its influences through an exquisite sensitivity of both melody and lyric, being the only of the modern songs herein in which both come from the same pen. For context we are presented with three specimens by Dowland contemporary Thomas Campion (1567-1620). “Follow thy fair sun” and “The cypress curtain of the night” are both heard in their original versions, and again with new music by Banks. The former glide off the tongue of Friman (what a joy to hear her as a solo artist), whose shaping of imagery is as evocative as the verses themselves. “Oft have I sighed” completes the Campion tour with quintessential languishing. As for Banks’s “Follow” and “Cypress,” they express the balance of self-loathing and -resolution of the original lyrics through soulful composing. The second song, with its lilting changes and Potter’s melodious diction, is especially memorable for its arpeggios (recalling the Prelude of Bach’s first cello suite) and unexpected ending. Also unexpected are the chord changes of two early 20th-century songs: “Sleep,” with words by John Fletcher (1579-1625) and music by Peter Warlock (1884-1930), and “Oh fair enough are sky and plain” with words by A. E. Housman (1859-1936) and music by E. J. Moeran (1894-1950). Both work seemingly within the Dowland frame, but color outside the lines like the roots of a tree that grows wherever it will. Moeran’s is the most surreal of the album, sprouting leaves in winter and dropping them in spring. Two versions of “In nomine,” the lone surviving composition of one Picforth, beyond whose 16th-century flourishing hardly anything is known, regale with their circularity and Celtic knot structure. Each is something of a palate cleanser for the ear, a baptism by hearth after the rain along the way. To the seasoned ear, the distinction between older and newer songs will be rather obvious. This does nothing to undermine the integrity of the project. If anything, it strengthens that integrity, because the goal here is not to disguise itself as the past by way of compositional pantomime, but to own up to the trends of the present while paying respects to what has informed it. Whichever direction it may ultimately choose in the listener’s mind, one can hardly walk away from Amores Pasados without feeling its communal heartbeat. And perhaps this is the album’s truest goal—namely, to invite all who wish to sing, regardless of elitist approval, to enjoy the gift of creation (and creating) together, yielding a unity of voices across all lines drawn. Cantante e tranquillo grew out of a conversation between producer Manfred Eicher and violinist András Keller, who envisioned an album of slower sections divorced from longer works. 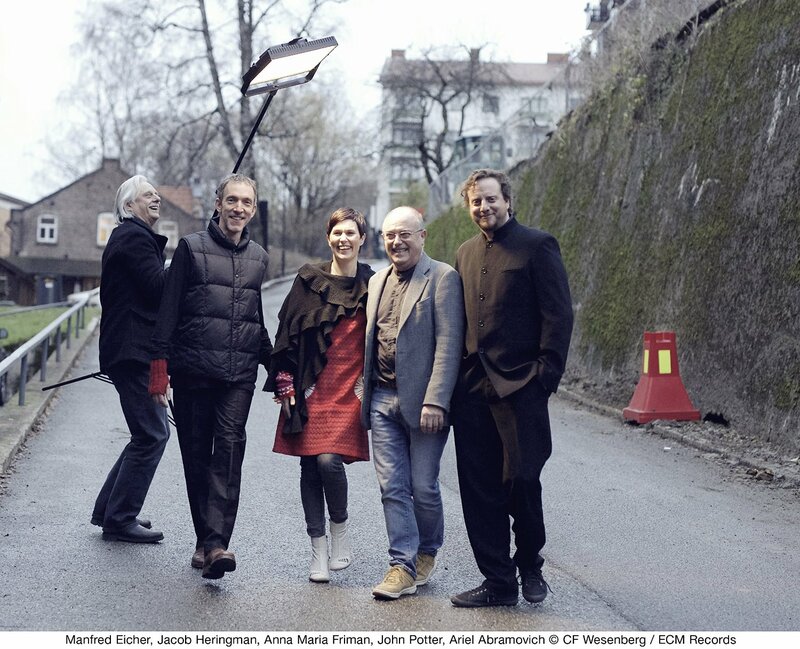 In true ECM fashion, this idea developed into a project all its own, framing previous recordings of Knaifel, Schnittke, Ligeti, and Bach by the renowned Keller Quartett with newly recorded selections from Beethoven’s opuses 130 and 135, and between them shorter pieces by Kurtág. The result is not a compilation but a sculpted entity with shape and sentience. The concept alone is haunting enough; more so in execution, as ghostly appearances begin to sing once the third movement of Ludwig van Beethoven’s F-major quartet (from which the album gets its name) whispers into life. This rustling of the heart, slowed to feverish pathos and drawn as a brush across absorbent paper, embodies a yearning that, over the course of its awakening, resolves into a style of slumber in which the depth of life is surpassed only by that of death. Unlike the Adagio from the quartet in B-flat major, in inhales rather than exhales, holding all it can before expiring. György Kurtág is known for his ability to pack surprising amounts of information into minute forms, but the Kellers give us examples of pieces that, despite their characteristic brevity, are spacious and expansive. At times parabolic (cf. 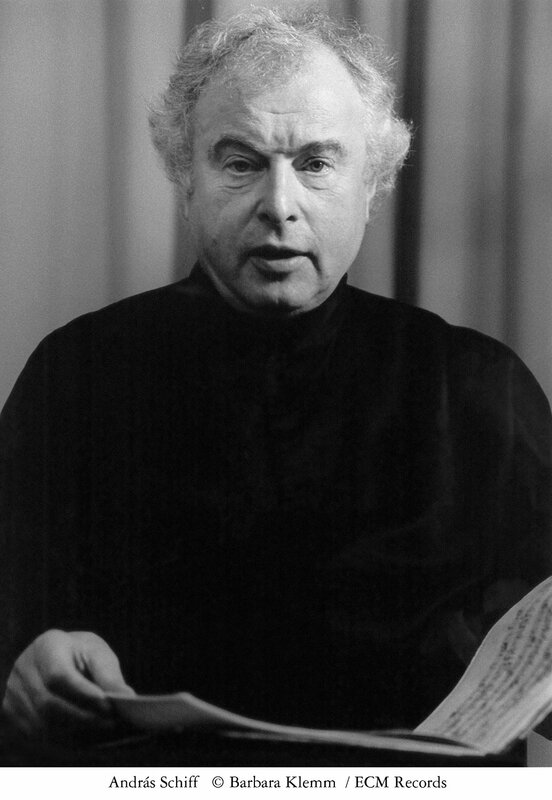 the Officium breve in memoriam Andreæ Szervánszky), at others misty (Flowers We Are – for Miyako), and at still others pulsing like a geographic lay line (Aus der Ferne V), his music has no need to seek anything because it is starting point and destination all in one. The final movement of György Ligeti’s String Quartet No. 2, by contrast, sprouts in leaf-like structures that tremble to the rhythms of nervous winds. Unlike Narcissus, its reflection is being constantly disturbed, so that the illusion of a second self never clarifies. 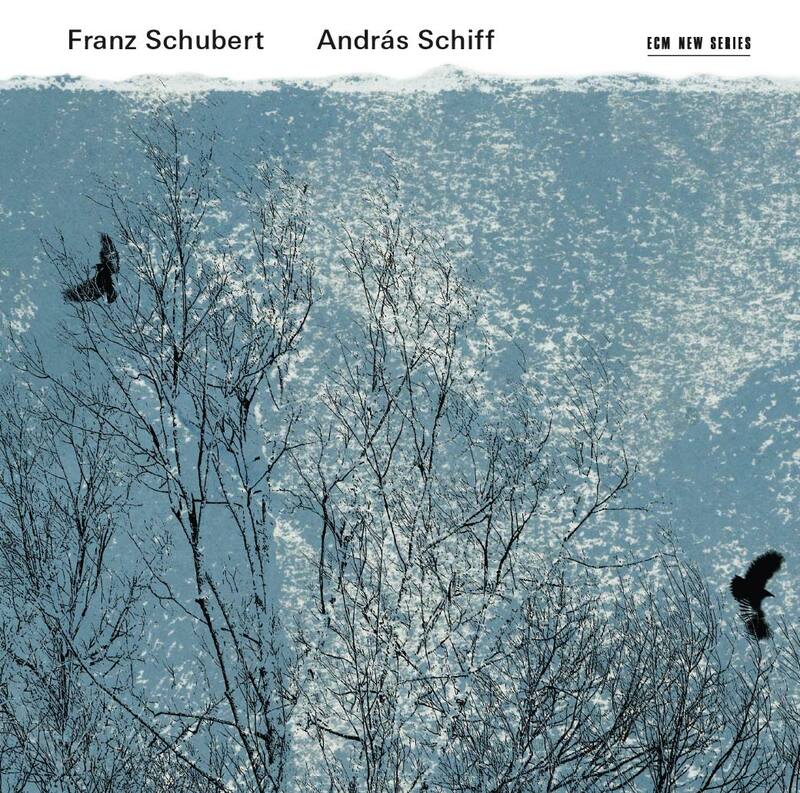 By yet further contrast, the stillness implied by “An Autumn Evening” (from Alexander Knaifel’s In Air Clear and Unseen), along with the Moderato pastorale of Alfred Schnittke’s Piano Quintet, breathes with lucidity. The latter’s pianism filters an unrequited dance which, like something out of a Tolstoy novel, twists until it bleeds music. 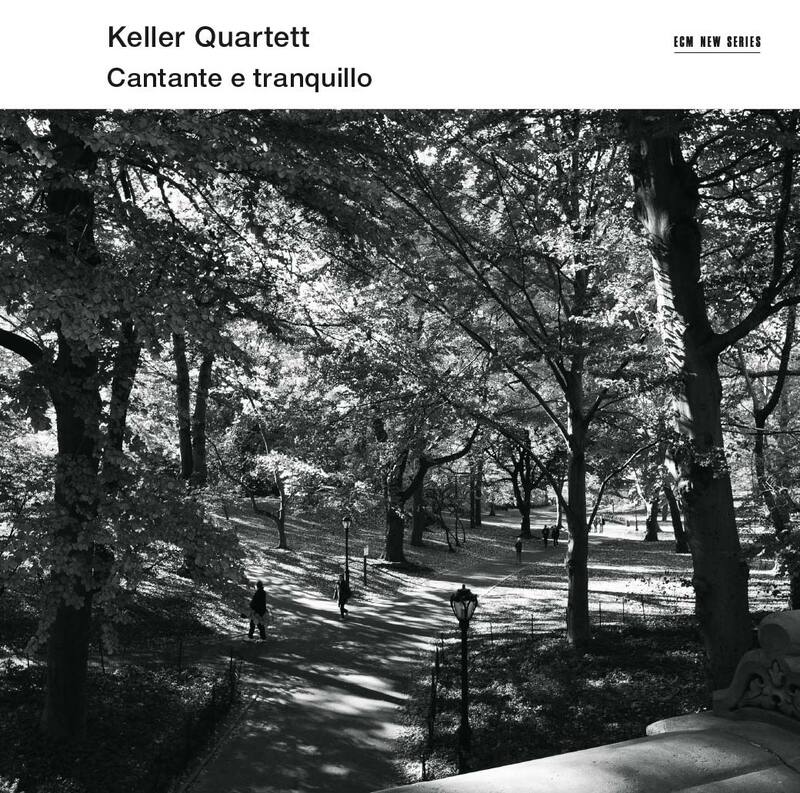 Anchoring all of this are two selections from one of the Keller Quartett’s finest recordings: Die Kunst der Fuge. Johann Sebastian Bach’s final masterwork is alluded to twice in the program, cycling between gradients of lost and found before ultimately falling in love with exile. A variation of Beethoven’s “Cantante” closes the circle with urgent, pregnant emotion, outlining a keyhole that only shadow can unlock to access the light beyond it. Listening to this album is like watching the moon rise: if you focus on it long enough, you begin to detect its movement through the sky as if it had a mind of its own. Haunting, yes, but then again this music has no ghost to give up. It has one only to acquire. 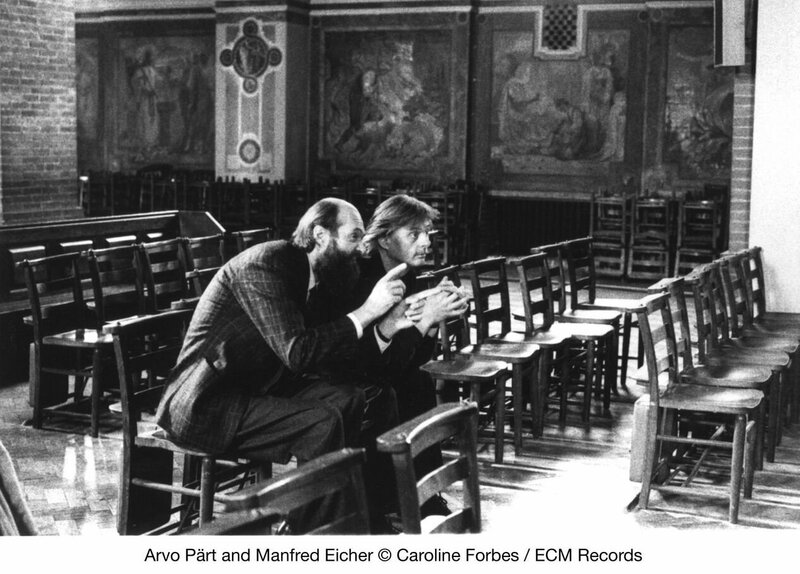 Here is a commemoration not only of the professional and personal collaboration of Estonian composer Arvo Pärt and German record producer Manfred Eicher, but also of the creative spirits that guide them both toward shared spatial goals. Beyond that, it is a looking glass of sonic history in which is reflected two souls who’ve welcomed countless listeners on a journey of light. 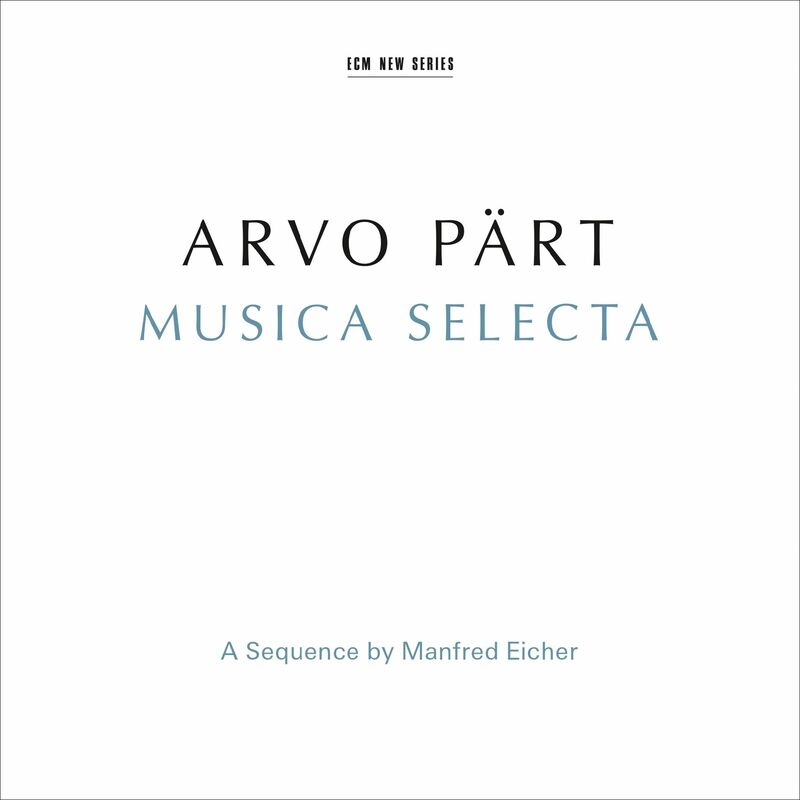 Issued in time for Pärt’s 80th birthday, Musica Selecta divides that light into its spectral gradations, sounding every band in a sequence of hand-selected pieces from his ECM New Series tenure thus far. 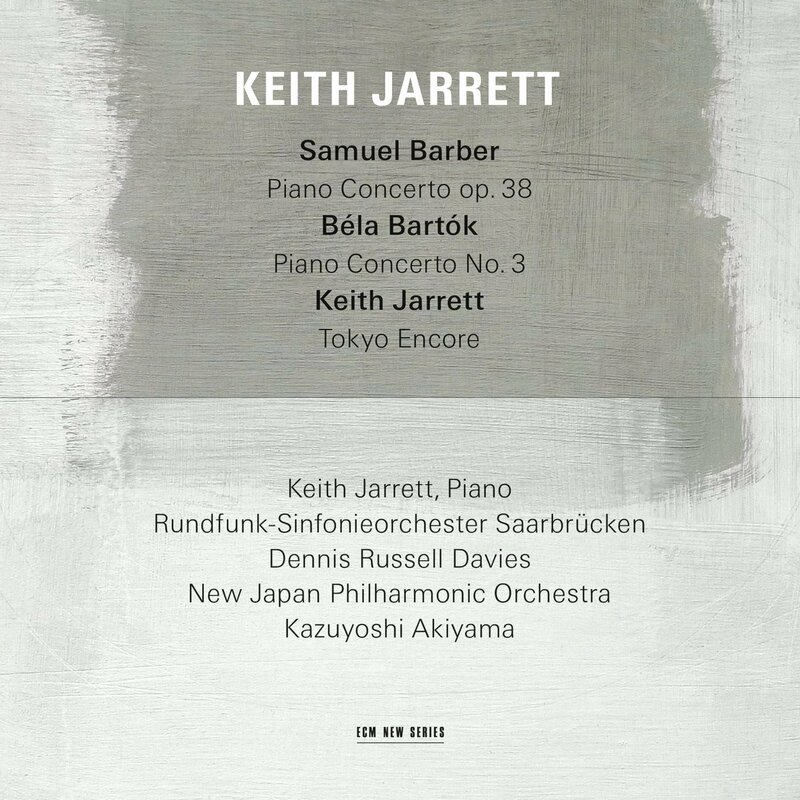 In his liner note for the two-disc album, Eicher refers to Pärt’s compositions as “solitary sound-sculptures.” An apt description if ever there was one. Solitary, because they come from the relationship of one man to the divine, but also sculpted because they take in countless aspects of creation into their corporea. What emerges from Eicher’s idiosyncratic sequencing of events here is therefore less the portrait of an artist than a horoscope, as planetary alignments contradict, refract, and inspire one another into a harmony of greater spheres. Remarkable about the program is not only the way in which it compresses a 30-year history into two hours, but also the gentle reminders and forgotten facets—if not new discoveries—of the composer’s oeuvre it contains. Of the latter, the Hilliard Ensemble’s previously unreleased performance of Most Holy Mother of God is an astonishing example and proof that, more than meaning, it is the very architecture of words which determines their sacredness. Like a modest, timeworn church, these melodic structures stand before us marked by the passage of time. Astonishing, too, are those textures more familiar to us, such as the chant-like Ode VI from the Kanon pokajanen, one of Pärt’s profoundest medi(t)ations of flesh and sacrament. Architectural awareness is again central to understanding the integrity of this music, miring itself as it does in the rafters and other neglected places where godly light is most needed. It also introduces into the album’s narrative flow the Estonian Philharmonic Chamber Choir, whose voices, under the direction of Tõnu Kaljuste, have occupied the central axis of Pärt’s ECM zodiac from almost the beginning. Their harmonies uncover, like a skilled woodcarver’s tools, moments of transcendence as wounding as they are luminescent. Pärt recognizes the scar in every beauty. This is what we really mean by the phrase “reading between the lines.” Not the extraction of the visible from the invisible, but the knowledge that everything is inherently invisible, except by the illumination of regard. And so, if either of these pieces feels like dreaming, it is only because singing can sometimes be more surreal than anything taking place behind closed eyes. Solitary voices fluctuate like reflections on water, because neither can exist without the other. We might do well to understand Pärt’s compositions in likeminded fashion—that is, to recognize that no simple motif would have grown without the ancestors before it. All the more appropriate, then, that this conspectus should begin with Es sang vor langen Jahren (“From long ago thus singing”) from Arbos. An album that seems to have fallen off the critical radar, but one that is nevertheless a Musica Selecta of its own. It showcases his ability to negotiate a range of atmospheres—from the intimacy of chamber settings (such as this one for alto, violin, and viola) to the inward-looking sweep of his Stabat Mater, which at 24 minutes is the vastest work included here. Its dramas are theatrical in the same way the heart is theatrical. 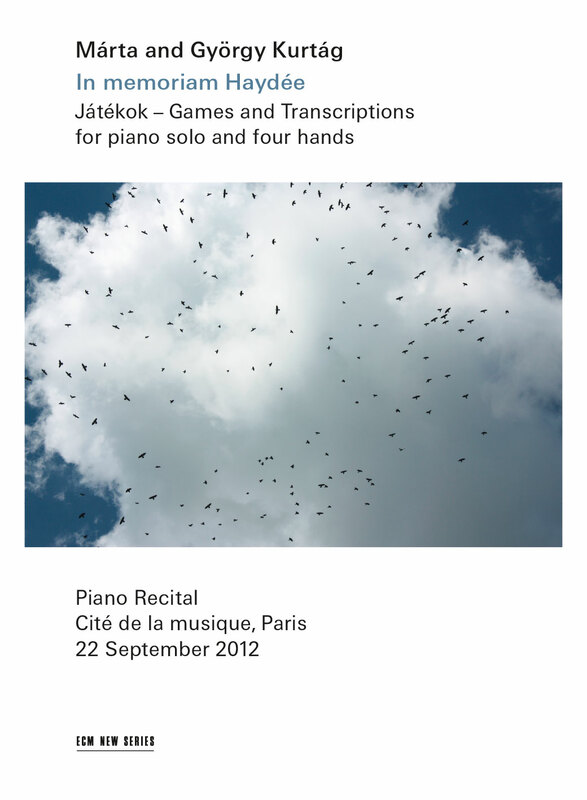 This collection’s remaining choral pieces are more entangled with non-living, yet somehow sentient, instruments. The Alleluia-Tropus and Beatus Petronius from Adam’s Lament represent organic conversations—one playful, the other somber—between voices and strings. The latter’s addition of winds renders stems for every leaf. Between them is Trisagion (from Litany), performed here by the Lithuanian Chamber Orchestra as if it were so fragile that even playing it might break it. In this universe, the value of silence, such as it is, feels especially alive. Wallfahrtslied / Pilgrims’ Song (Orient & Occident) is scored for men’s choir and string orchestra and moves more celestially in a combinatory realm of mysticism and gravity. It is an expression of the itinerancy of faith and the challenges it faces when crossing borders. Sometimes, however, the borders cross us, as in the two selections from In Principio. 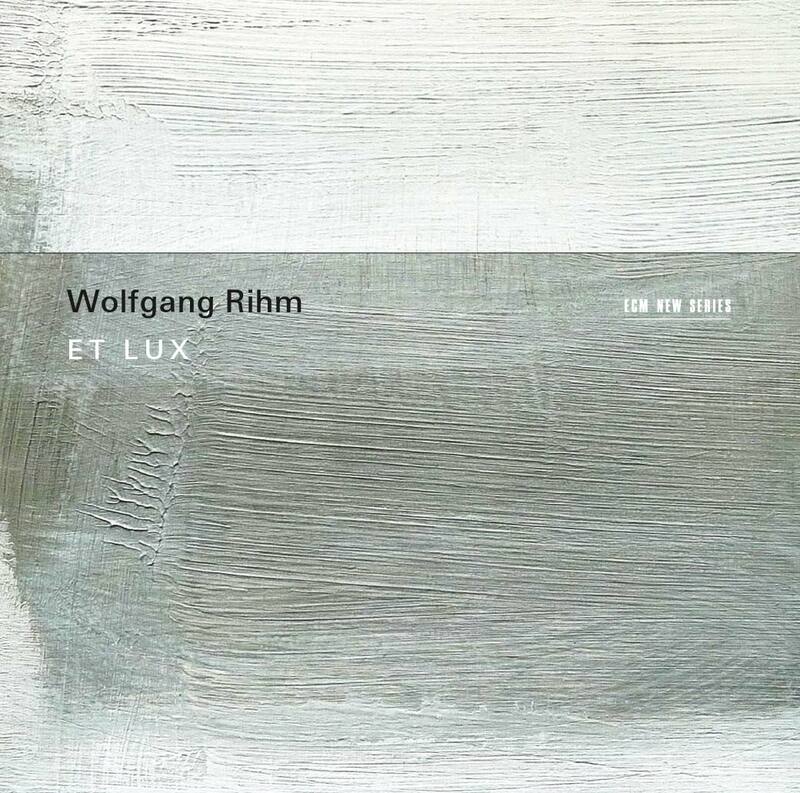 Mein Weg, scored for 14 strings and percussion, builds a descending framework to move upward, while antiphonal Da Pacem Domine is a righteous summation, a tipping point into the as-yet-unknown future of his flourishing. Silouans Song brings us to one of Pärt’s most pivotal and defining releases: Te Deum, which in addition to the stirring title work (not featured here) yields the mighty Magnificat. These works—Silhouans Song for strings and the Magnificat for choir—feel their way along their respective paths, finding that the truest epiphany comes not from moments of grace (however one chooses to frame them) but in their aftermath, during which one trembles from the shock of revelation while putting together the pieces of a shattered soul. As strings cry out, so do voices draw their bows, each the inner to the other’s outer. In the company of such vocal apparatuses, the mechanism of the piano, in all its earthy resonance, comes to us as if out of time. In his rendering of Für Alina (Alina), Alexander Malter removes enough of his touch that the windows of access he finds in the score glow with a light born of need to see itself seen. In highlighting the spaces in which Eicher and Pärt have forged their friendship, one necessarily emphasizes the care with which they have chosen musicians to transport listeners outside themselves. 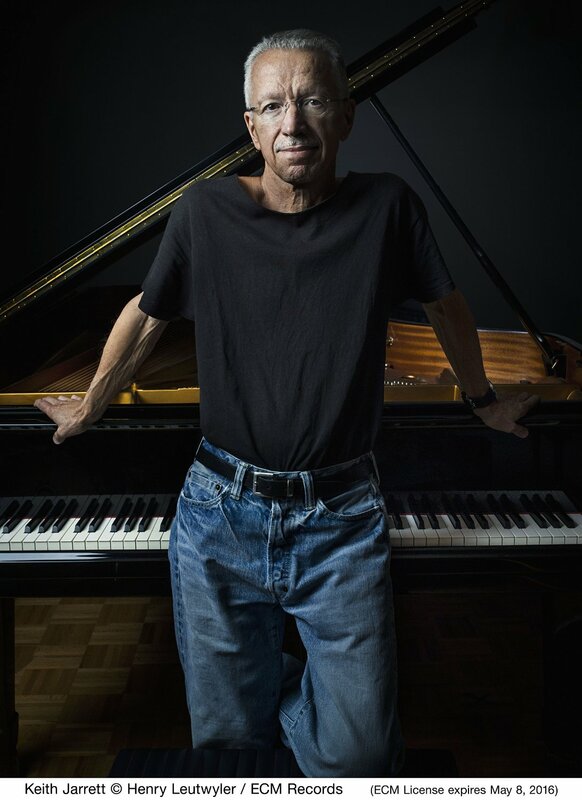 And who better than pianist Keith Jarrett and violinist Gidon Kremer to play a duo version of Fratres. It is the most significant work of this collection, being the world’s introduction to Pärt via the seminal Tabula rasa. The album was the first of ECM’s New Series imprint, which since 1984 has sailed a discriminating vessel at the fore of contemporary music. Jarrett and Kremer bring a level of sensitivity rarely heard in subsequent versions of this often-recorded piece, a spirit of newness and adventure that can only have come from their unprecedented reckoning with what was then a relatively obscure voice leaping like the violin from behind the iron curtain of Soviet oppression. The Cantus in Memory of Benjamin Britten is another quintessential selection from Tabula rasa, a vibrant threnody that throbs with passion and memory. From what is arguably Pärt’s finest release, Miserere, comes Festina Lente. Scored for orchestra and harp, it pairs beautifully with the Cantus, if only for its gradual development and lilting form. It also bears dedication, this time to Eicher himself. The tripartite Lamentate, from the album of the same name, is also included. Pianist Alexei Lubimov and the Stuttgart Radio Symphony Orchestra, at the baton of Andrey Boreyko, strike a most appropriate balance of lucidity and distortion in this fragile tone poem. Musica Selecta does more than tell a story. It pulls the beginning and ending of that story together to form a circle, which stands before us like a portal, replacing the suffocation of expectations with an eminently breathable oxygen. Pärt, as only he can, spins our comprehension of it all from elements unseen yet—praise creation—audible. So audible, in fact, that this music might just hear more of us than we ever will of it.